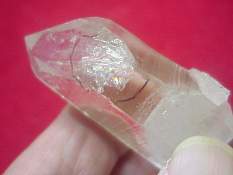 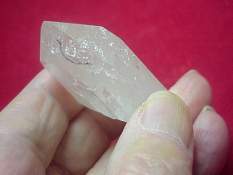 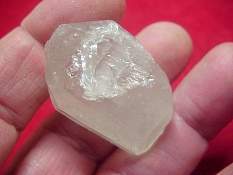 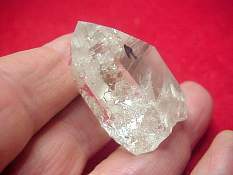 A crystal with a small crystal totally enclosed within is called a Manifestation crystal. 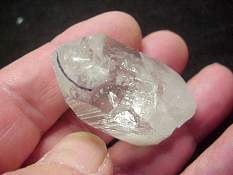 It is believed to help people who have had a traumatic, physically or emotionally, childhood. 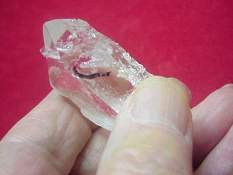 They are helpful for people who are blocking painful memories. 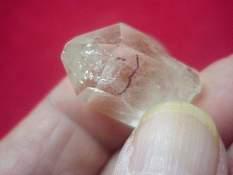 They help bring the cause of the pain to the surface and allow the person to successfully deal with it, while shielding that person from the pain those memories can cause. 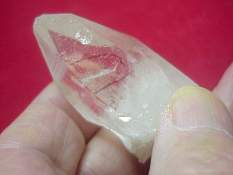 These crystals work well for people who are working through current family problems. 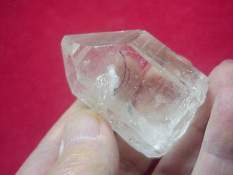 These are one of the rarest crystals to find. 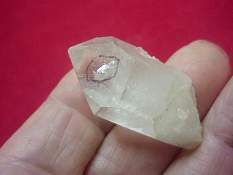 5" point with a grounding face, healed base and included crystal. 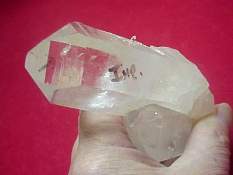 2" tabby point with an included crystal near the tip. 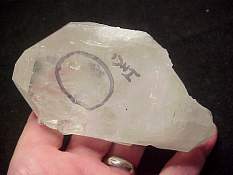 Water clear 2" point with a penetrator point in the tip and several included crystals. 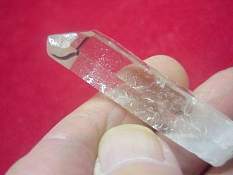 Water clear 4.5" point with an included crystal near the tip. 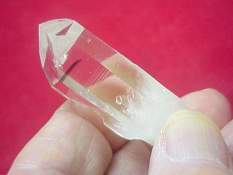 Water clear 2" point with an included crystal near the tip. 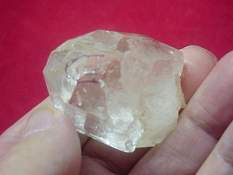 Water clear 2" with a window and included crystal. 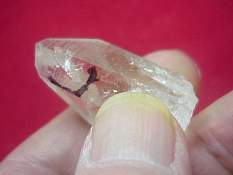 Water clear 2" point with included crystal near the tip. 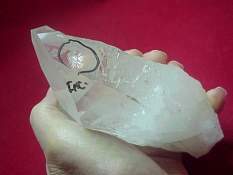 Water clear 2" with a channeling face and included crystal. 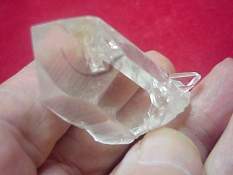 Water clear 1.5" with included crystal near the tip. 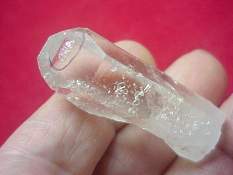 Cute water clear 1" with included crystal near the tip. 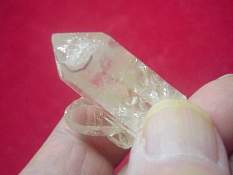 Optical clear 1.5" point with several included crystals near the tip.